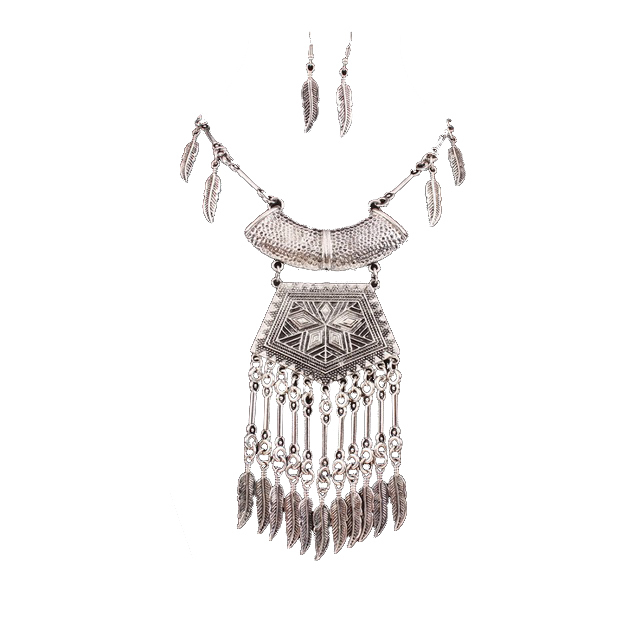 Nynette Necklace Set consists of a necklace that features leaf-shaped danglers and large pendant. Matching drop earrings. Update your collection of boho jewellery now.